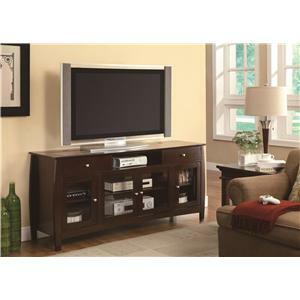 Featuring clean lines and a simple design, this TV console, finished in a rich cappuccino color, provides plenty of storage space and a sleek style that will blend seamlessly into any home decor. 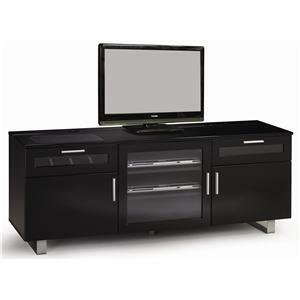 With two central glass doors, this piece allows you to easily house of all your various media players and game consoles. 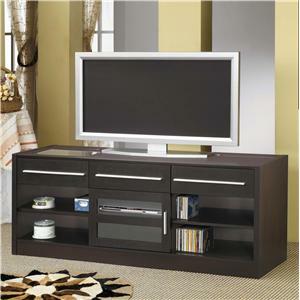 Side doors open to reveal extra shelves for stowing DVDs, remotes, CDs, or books out of sight. 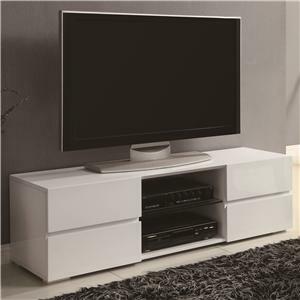 The easy push-to-open door feature eliminates the need for hardware and contributes to the sleek contemporary feeling of the piece. 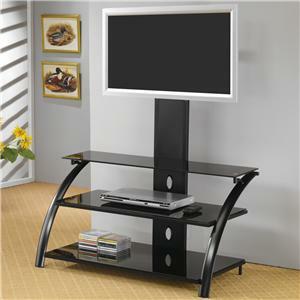 Can hold up to a 60" television set. 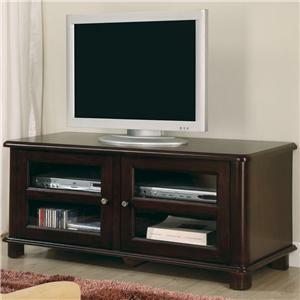 The TV Stands TV Console with Push-to-Open Glass Doors by Coaster is available in the area from FMG - Local Home Furnishing. 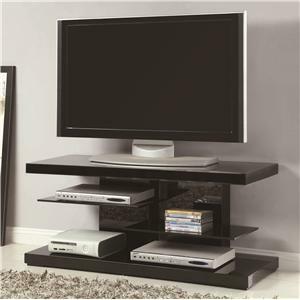 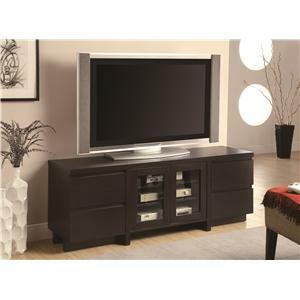 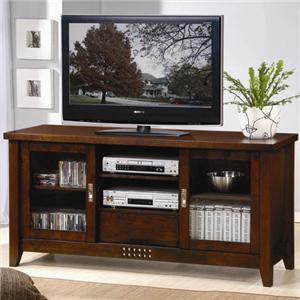 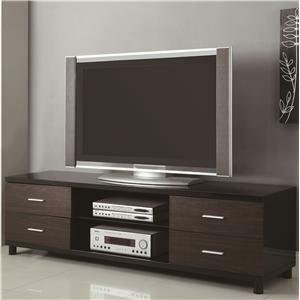 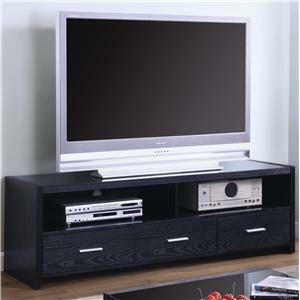 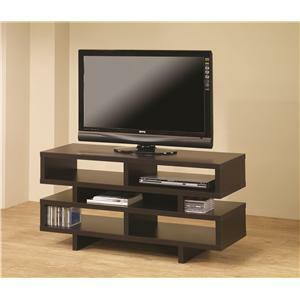 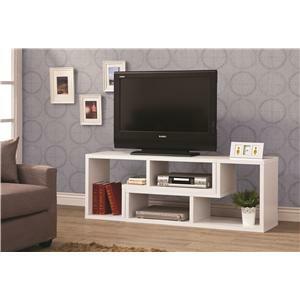 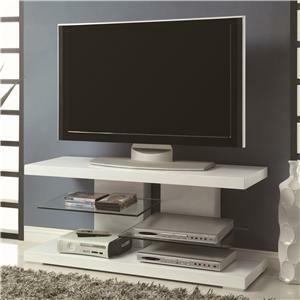 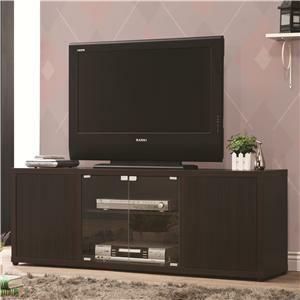 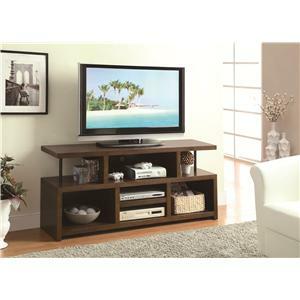 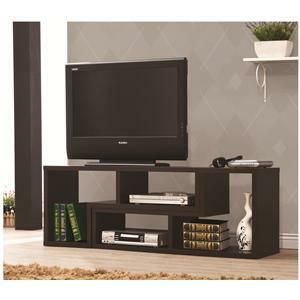 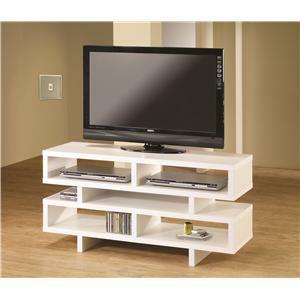 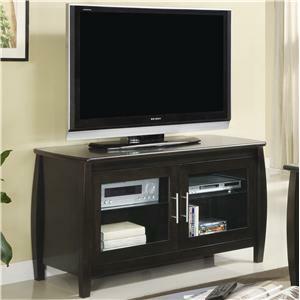 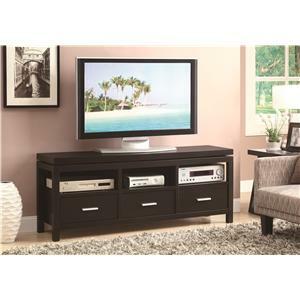 The TV Stands collection is a great option if you are looking for furniture in the area. 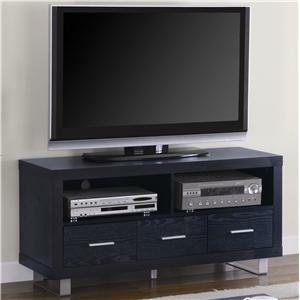 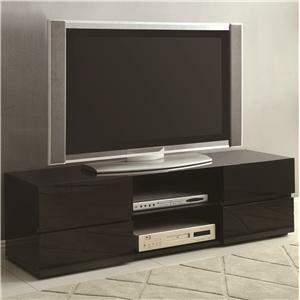 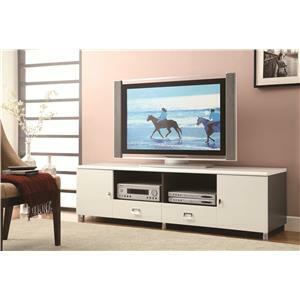 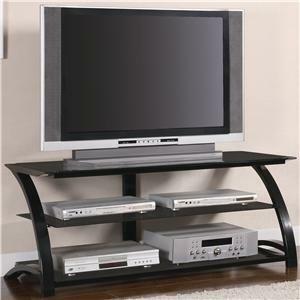 Browse other items in the TV Stands collection from FMG - Local Home Furnishing in the area.